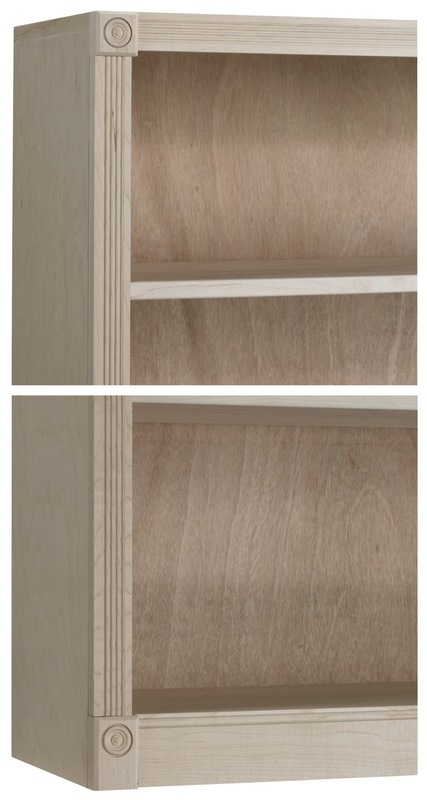 Solid-wood shelf edges: All AWB bookcases and cabinets come with 1/2" thick solid moulding on the front edge of the 3/4" adjustable plywood shelves. Although the shelves are very sturdy, you also have the option to purchase double-thick 1.5" shelves for the most demanding applications. 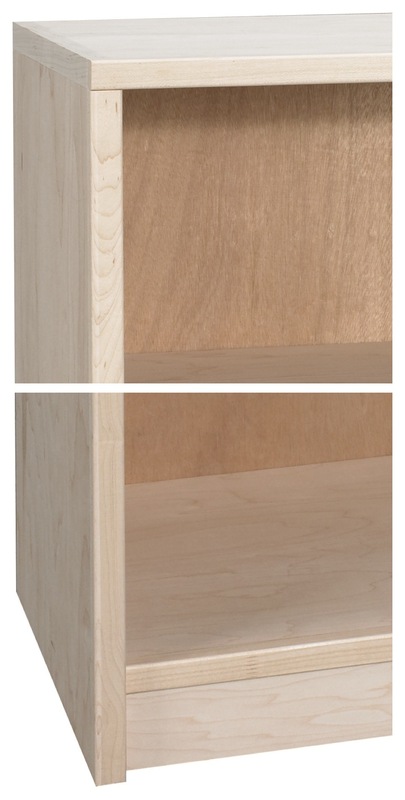 Narrow face frames: AWB bookcase face frames are 1.5" wide, compared to 1.75" wide on Woodcraft bookcases. 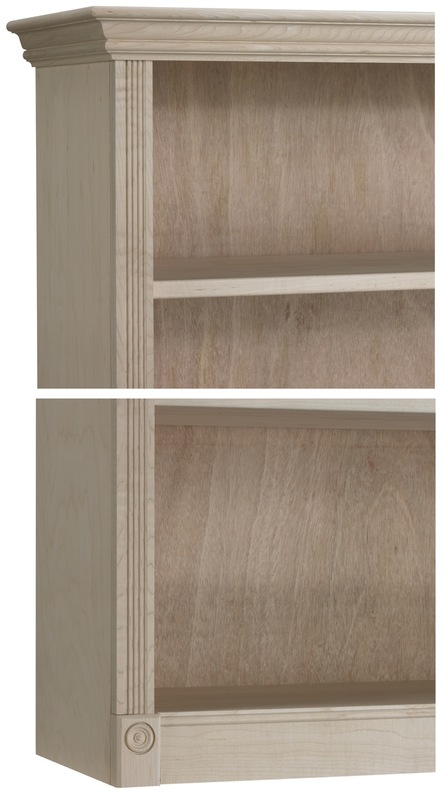 This provides a slightly wider opening in the front. Inset doors and drawers: AWB bookcases have doors that are inset into the face frame (e.g. they do not overlay the frame). 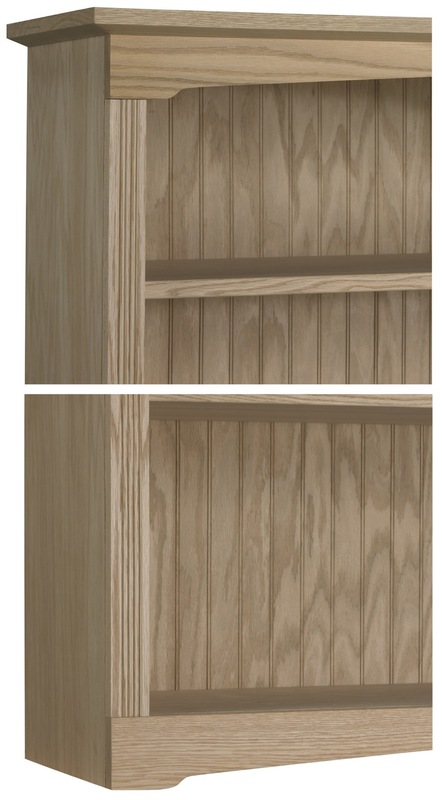 More partition options: AWB bookcases can be made with multiple partitions for use a cubbies or smaller storage areas. Deluxe moulding options: AWB bookcases with crown moulding can have an additional 3/4" thick piece of decorative moulding added to the top or have base moulding added to the bottom. 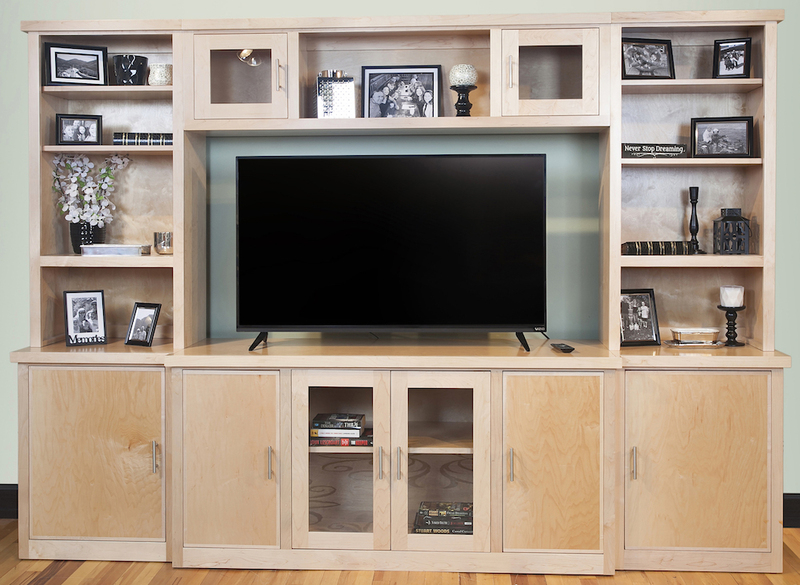 Halogen Light Kits: AWB bookcases can have installed black or white halogen lighting at the top. Drawer Support: AWB bookcase drawers have corner and center supports underneath for additional support for wide drawers. 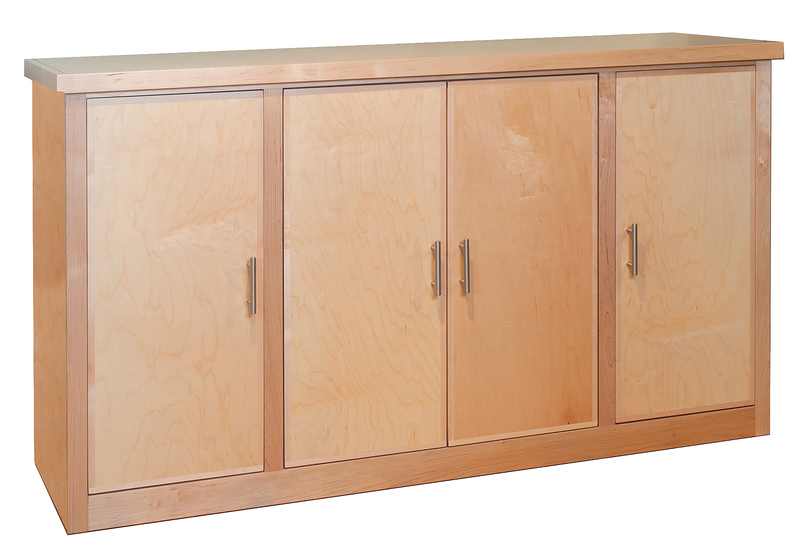 Roll-out shelves: AWB bookcases can have roll-out shelves added with full-extension drawer slides. 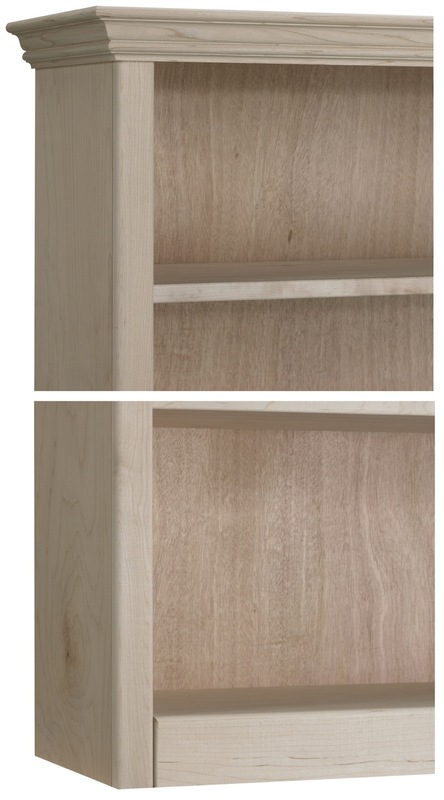 Roll-out trays: AWB bookcases can have roll-out trays added with full-extension slides. 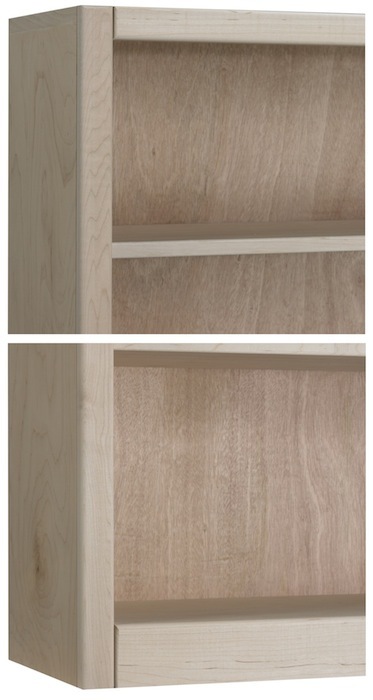 Glass shelves: AWB bookcases can have 1/4" thick glass shelves added or wood shelves can be converted to glass. Beadboard back: AWB products can have an optional beadboard back added in place of the plain back. Connector kit: AWB products can have optional connectors pre-installed to allow multiple pieces to be attached together. 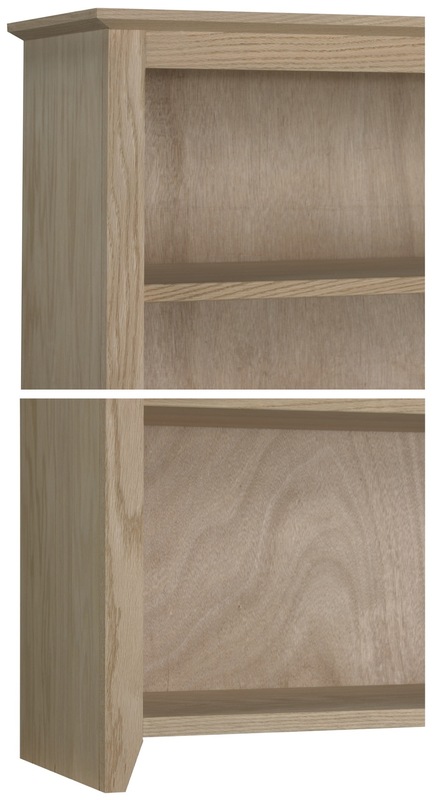 No-VOC finishing option: AWB finishing with no emissions (10% extra). 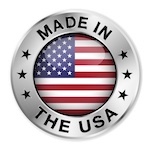 Click for info about the ML Campbell Agualente product.